Most bakeries wouldn't dare to sell a year-old slice of wedding cake, let alone sell it for hundreds of dollars. But when that piece of cake is from a royal wedding, all bets are off. 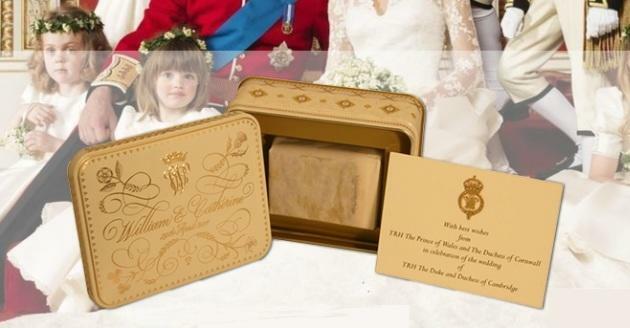 PFC Auctions, a boutique auction house in Guernsey, England, is offering a slice of wedding cake from the April 2011 wedding of Prince William and Kate Middleton. Aside from the dessert, your winning bid will also get you the 16-page order of service from Westminster Abbey that includes the vows, hymns, prayers, and blessing from the wedding. The auction starts May 3. While we don't know how much the slice of cake will sell for when all is said and done, a similar piece of cake from the wedding of Princess Diana sold for $1,600. The opening bid for this slice will be £100 — about $160.